1st In-Line’s management combines the talents of experts in both veterinary medicine, organic chemistry, marketing/distribution and dog and horse show experience. The team consists of a retired research chemist, veterinarians; and marketing/distribution specialists with over 60 combined years of dog and horse show experience. Ms. Davis is the creator of 1st In-Line, Inc Animal Grooming Products. 1st In-Line was developed in response to her friends in the animal industry. They requested she solve the serious problems, in the inappropriate and archaic chemistries, being used in animal grooming products. 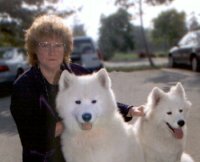 Drawing on her knowledge as a winner of dog show competitions and her extensive work in the pet grooming industry she created an animal-specific product line. The products sales potential were pre-tested through one to one interaction with a wide variety of dog and horse show participants as well as professional groomers. Ms. Davis comes to 1st In-Line with over 25 years of promotional, marketing, and sales experience with an extensive background in business, accounting, printing, and media coverage (press releases etc.). Ms. Davis is known for her service in the community as an event coordinator specialist and has received the highest award given from the service organization International Lions Club "The Melvin Jones Award". Mr. Davis combines 22 years of pharmaceutical industry experience with 16 years of consulting for SRI in the health care field plus one year of consulting for MMC International. He has held a series of management positions in both the domestic and international operations of SmithKline Beecham and Syntex. His duties included marketing and extensive liaison with corporate planning, international marketing, research and development personnel. Mr. Davis gained practical experience in pharmaceutical, marketing research operations and strategic planning with SRI and MMC consulting work during 1980-1996. This latter experience has included a range of single client and multi-client studies for both U.S. based and international health care clients involving acquisitions, diversification, management organization and operation audits, strategic planning studies and scenario building. He was named Director of SRI’s Health Industries Practice based in Menlo Park, CA in 1990. 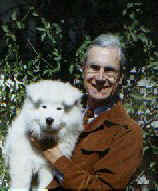 Mr. Davis then was Vice-President of MMC International in Stamford, CT during 1996. He now consults independently in Palo Alto, CA. Dr. Schneider is a graduate from Stanford University and received his PhD in organic chemistry from Cornell University. He was a senior research chemist at Chevron Research for eighteen years. Specializing in exploratory research, he developed completely original products to meet specific needs, and tested them in single blind and double blind experiments. Mr. Schneider is also one of the co-founders of 1st In-Line. He brought a wealth of environmental concerns into the animal-grooming field. Together with Ms. Davis this resulted in a selection of products for 1st In-Line that are not only beneficial to the animals’ skin and hair but are biodegradable and safe for the environment.